Highway Safety Solutions offer a wide range of training courses and assessments across the traffic management, health & safety, and construction sectors. 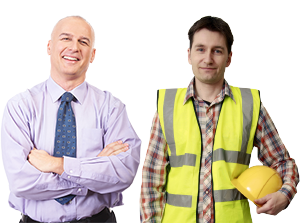 We also offer a wide range of online Health & Safety E-Learning courses for all industries. We help individuals develop their talents and abilities for future career progression and provide employers with the talented employees they need to boost their long-term profitability and growth. Our centres offer the very best training and assessment environment and our qualifications are delivered to approved standards. We specialise in the provision of National Highway Sector Scheme approved training that is certified through Lantra Awards. We have a dedicated First Aid Training centre that delivers numerous courses certified and approved by Qualsafe. For further details visit https://www.firstaidsolutionsltd.com. Our E-Learning Portal offers a wide range of Health & Safety courses applicable to all industries and can be accessed here or through the E-Learning tab at the top of this page. Whether you want to develop your workforce or boost your career by enhancing your skills, Highway Safety Solutions is here to help.